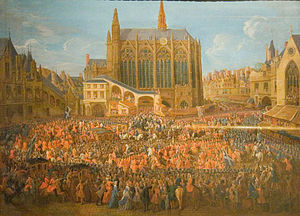 The Palais de la Cité, located on the Île de la Cité in the Seine River in the centre of Paris, was the residence of the Kings of France from the sixth century until the 14th century. 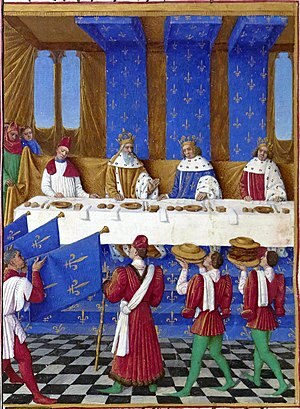 From the 14th century until the French Revolution, it was the headquarters of the French treasury, judicial system and the Parlement of Paris, an assembly of nobles. 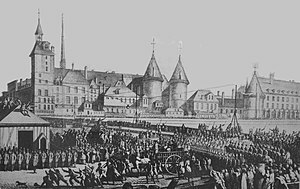 During the Revolution it served as a courthouse and prison, where Marie Antoinette and other prisoners were held and tried by the Revolutionary Tribunal. 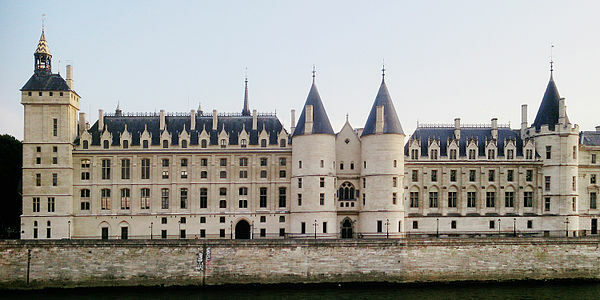 The palace was built and rebuilt over the course of six centuries; the site is now largely occupied by the buildings of the 19th-century Palais de Justice, but a few important vestiges remain: the medieval lower hall of the Conciergerie, four towers along the Seine, and, most important, the Sainte-Chapelle, the former chapel of the Palace, a masterpiece of Gothic architecture. 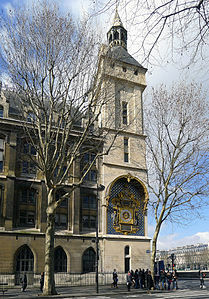 Both parts of the Conciergerie and Saint-Chapelle are classified as national historical monuments and can be visited, though most of the Palais de Justice is closed to the public. The four towers along the Seine date back to the Middle Ages, while the façade is more modern, dating to the early 19th century. The tower on the far right, the Tour Bonbec, is the oldest, built between 1226 and 1270 during the reign of Louis IX, or Saint Louis. It is distinguished by the crenellation at the top of the tower. It originally was a storey shorter than the other towers, but was raised to match their height in the renovation of the 19th century. 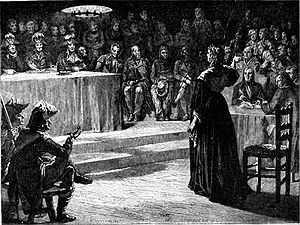 The tower served as the primary torture chamber during the Middle Ages; it was said that prisoners tortured would sing like birds, with a "bon bec', or beak open wide. The two towers in the centre, the Tour de César and the Tour d'Argent were built in the 14th century. Each has four levels. 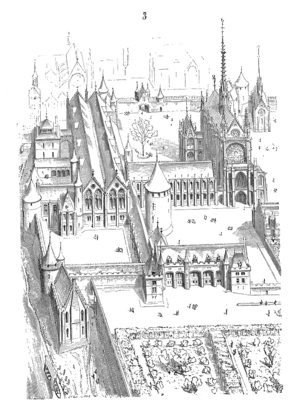 Starting in the 15th century, the top levels held the offices of the clerks of the court, both criminal and civil. The lower floors contained jail cells. The façades were constructed in the 19th century in the neogothic and neoclassic style, during the restoration and rebuilding of the Palace. 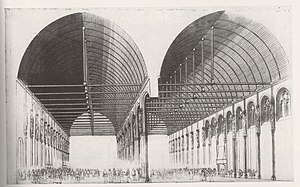 The façade to the east, or left, is by Antoine-Marie Peyre, and that to the west, or right, by Joseph Louis Duc and Étienne Theodore Dommey. 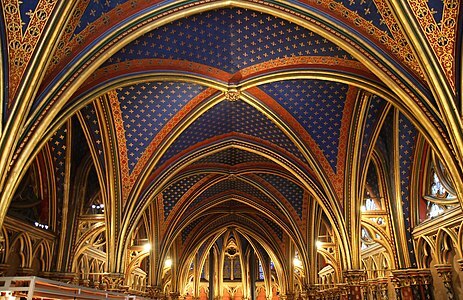 The Sainte Chapelle was constructed by King Lous IX, later known as Saint Louis, between 1241 and 1248 to keep the holy relics of the Crucifixion of Christ obtained by Louis, including what was believed to be the Crown of Thorns. 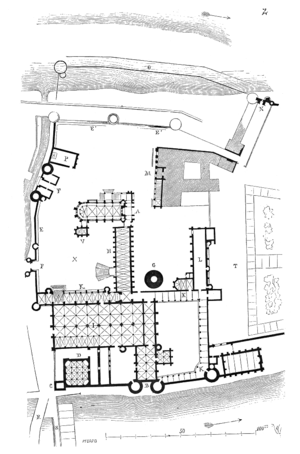 The lower level of the chapel served as the parish church for the residents of the Palace. The upper level was used only by the King and royal family. 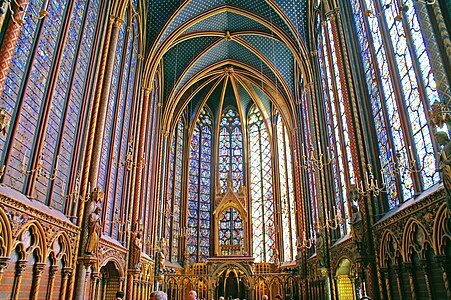 The stained glass windows of the upper chapel, about half of them original, are one of the most important monuments of Medieval art in Paris. 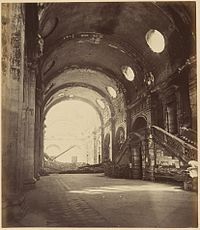 The chapel was turned into a storage depot for court documents from the Palace of Justice after the Revolution, but was carefully restored during the 19th century.